The information below is contained in the booklet "Salicylates, Amines and Glutamate". This booklet, along with it's companion booklet, "The Simplified Elimination Diet" are available for interested dietitians and medical practitioners to purchase for their patients. These booklets also contain food charts showing which foods to avoid and are not reproduced here as the elimination diet should be done under medical supervision. Symptoms vary from person to person. Hives, headaches, stomach and/or bowel problems are the most common, sometimes with a feeling of being generally unwell, run down, or irritable. Most people with food intolerance are sensitive to more than one chemical. These can be both "natural" and "artificial" substances. Their effects depend on the combination and amount consumed in your daily diet. The more sensitive you are, the less of the chemical-rich foods you'll be able to tolerate. Speed and severity of reactions can vary too. Symptoms can begin within an hour or two, but more often take several hours to develop. Typical reactions last a few hours, but severe ones can sometimes go on for days. Depending on your "threshold" for reacting, large doses may upset you, whereas smaller amounts may have no immediate effect. However, low levels of salicylates and amines from many different foods can build up in your system gradually. Chronic or recurrent symptoms can then develop without the cause being obvious. 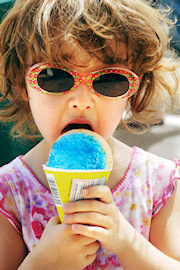 The natural substances which can upset sensitive people are found in many different foods. The more of these consumed in the daily diet, the more likely it is that reactions will occur. The charts in this booklet will tell you which foods to look out for, and should be used together with the companion "The Simplified Elimination Diet" booklet. SALICYLATES are a family of plant chemicals found naturally in many fruits, vegetables, nuts, herbs and spices, jams, honey, yeast extracts, tea and coffee, juices, beer and wines. They are also present in flavourings (e.g. peppermint), perfumes, scented toiletries, eucalyptus oils, and some medications (ASPIRIN is a member of the salicylate family). AMINES come from protein breakdown or fermentation. Large amounts are present in cheese, chocolate, wines, beer, yeast extracts and fish products. They are also found in certain fruits and vegetables, e.g. bananas, avocados, tomatoes and broadbeans. GLUTAMATE is a building block of all proteins, and is found naturally in most foods. In its free form, not linked to protein, it enhances the flavour of food. This is why foods rich in natural glutamate are used in many meals, for example tomatoes, cheeses, mushrooms, stock cubes, sauces, meat extracts and yeast extracts. Pure monosodium glutamate (MSG) can also be used as an additive to increase the flavour of soups, sauces, Asian cooking and snack foods. The foods most likely to cause problems are the tastiest ones, since they have the highest levels of natural chemicals. People who are sensitive to natural food chemicals are usually also sensitive to one or more of the common FOOD ADDITIVES. The ones most likely to cause unpleasant reactions are listed (along with their code numbers) in the booklets mentioned above. 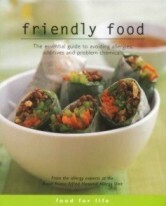 Friendly Food is a recipe book and a complete guide to avoiding allergies, additives and problem chemicals. It is available to all members of the general public for $38.50 (price includes GST and postage and handing within Australia) and can be purchased from the Allergy Unit, or from all major book stores throughout Australia. (Murdoch Books® ISBN 1-74045-376-X).